iamhealednow10 I just saw Jim Jarmusch's film PATERSON, and I love it. I want to write a film score for him. 9 months 5 days ago. iamhealednow10 Finished String Quartet No. 24, dedicated to Eryc Taylor whose dance concert at Martha Graham Center last month delighted and inspired me. Gerald Busby updated their cover photo. 1 year 7 months ago. just finished the second movement of my concerto for orchestra and piano. it's titled Homage to Stan Kenton and the Four Freshman - 1954. 5 years 6 months ago. just finished the second ovement of my concerto for orchestra and piano. it's title is Homage to Stan Denton and the Four Freshman - 1954. 5 years 6 months ago. New York’s Chelsea Hotel calls itself a “Rest stop for rare individuals.” Some have stayed so long they call(ed) it home. They include W.S. Burroughs, Sid Vicious, Jimi Hendrix, Tennessee Williams, Leonard Cohen, Dylan Thomas, Virgil Thomson, and, since 1977, composer Gerald Busby (born 1935). He has written music for film and dance, theatrical chamber music, and dozens of other works in the repertoire of such distinguished performers as Thomas Hampson, Calvin Hampton, Jerry Grossman, Michael Parloff, and Kenneth Cooper. With notes by pianist Nurit Tilles, “Music of Gerald Busby” will introduce you to one of America’s gems (he might be that guy you always see in the hotel elevator) and have you waiting for the release of his next opus, a cookbook of Virgil Thomson’s favorite recipes. This CD is produced by the Music Archive Initiative of the Estate Project for Artists Living with AIDS, a program of the Alliance for the Arts, and funded by the Aaron Copland Fund for Music Recording Program. 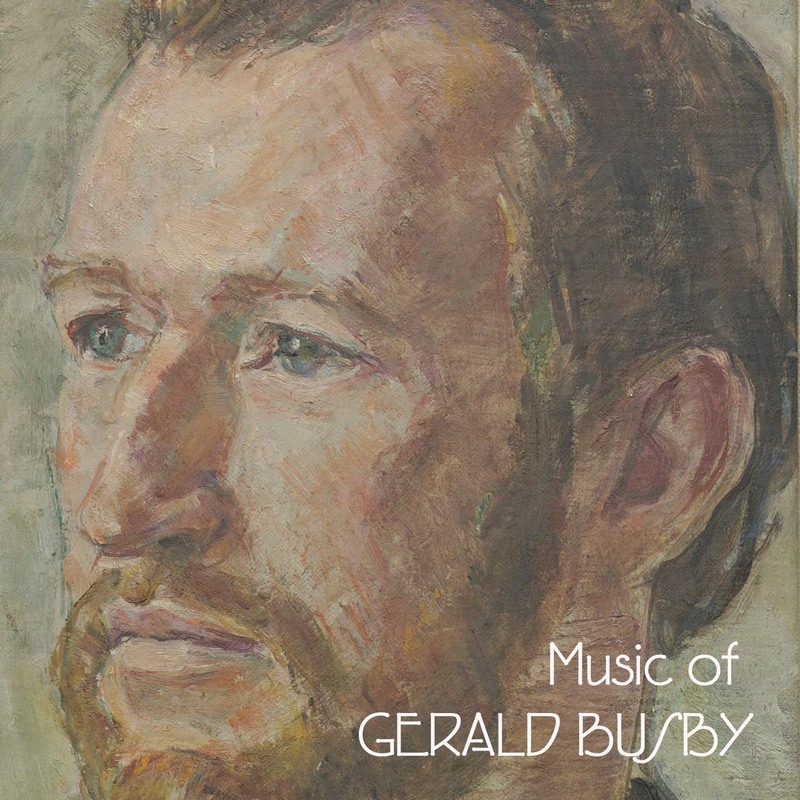 Gerald Busby is an American gem -- no one else has ever written music that sounds remotely like his; my collaborations with gerald are some of the happiest experiences of my creative life, and i hope he lives forever. Dear Gerald, Your music is the real thing. Love, Ned.